Does Star Quad Microphone Cable Sound Better? Let's Find Out! For many years, the professional live sound community has, for the most part, stuck to actual science to advance our art, and generally steered clear of some of the outlandish, testimonial-driven claims made in the consumer “audiophile” market. 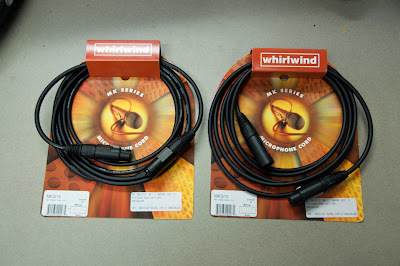 However, in our trade publications over the last year or so, I’ve seen advertisements for audiophile’s gold-plated power cables; an editorial in a professional live sound publication offering a hearty endorsement of the rubbish of “The Secret”; and magical claims about star quad cable and its use for microphones on stage in live sound applications. 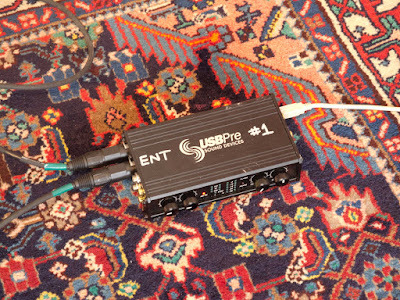 Because cables are an area that drives audiophiles nuts, that article was the last straw for me, and so I donned my best flame-resistant suit, and engaged in a little online discussion with the author, into which I dragged live sound guru Bob McCarthy. You can read the whole exchange in the comments section of the article, but in my final postings I offered to set up a blind test to actually evaluate the author's claims. He never responded. Since I will be speaking about blind testing and the infrasound experiment I set up last fall at the Charlotte US Institute for Theatre Technology (USITT) conference in March, I decided to go ahead and do an online test to see if we can find an audible difference between star quad and conventional cable construction. And I need your help!!! First, a little background. Conventional twisted pair cable construction, patented in 1881 by Alexander Graham Bell, twists two conductors in a cable together in order to maximize the receiver's ability to reject electro-magnetic interference (EMI). This is the basic type of cable used in professional audio, since we often run very low power signals from microphones hundreds of feet through environments full of strong sources of EMI (dimmer racks, arc lamps, motor drives, etc). If you're interested in more technical detail, there's a good Wikipedia write up on balanced lines here. As a result of its superior handling of EMI, star quad is well known in the industry as a good cable construction to use in demanding environments. And that reputation is based in science; the Canare document, for example, contains lots of claims which can be tested objectively, and all those claims are rooted in physics-based (reality-based) mechanisms. What set me off about the article, though, is that the author made a number of claims like, “Star quad cables can also improve sound quality. Most report clearer highs, less mud in the mid-lows, and a lift of the “haze” associated with previous mixes. Individual channels combine better, take EQ better, and compress better.” Those comments cross a line into faith-based audio, for a number of reasons. First, terms like “mud” and “haze” do not have formal technical definitions; in fact, if you asked 10 audio engineers to define those terms, you’d probably come up with 12 definitions. Secondly, the test procedure described by the author (listening to a change in cables while on a touring show in 1997) was not “blind", meaning it was subject to bias--those listening could have been hoping to see a certain result, even subconsciously, and that could have affected the results. Finally--and probably most importantly--the experiment was not set up to test only one variable at a time. One of the most interesting things about live sound is that a multitude of things, from temperature and humidity to blood-alcohol level of the performers, can affect quality (see the whole series I wrote about this here). So, it's completely plausible that the author heard an improvement in the show he was mixing, but his methodology does not give me confidence in his claims that the improvements could be attributed to star quad cable. You don't need sophisticated test equipment or a PhD to do good experiments based in the scientific method. I don’t even need to know how a cable works to be able to make an accurate, objective judgment about its quality. However, because bias is always possible for any number of reasons (equipment reputation, cost, peer pressure, etc), to do a worthwhile test, you have to do as much as possible to make sure that the playing field is completely fair, and that you are testing for only one variable. 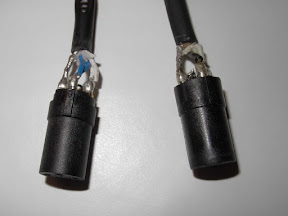 The variable in this test is the use of star quad or conventionally constructed twisted pair mic cable; we did all that we could think of to keep everything else the same as much as possible. We specifically did not test for EMI rejection, since that area is already well tested and documented. Instead, we were testing to see if we could hear any other difference in sound quality brought on by the star-quad cable. And whatever the result, I now own a nice pair of star-quad cables I can use when I want to ensure maximum noise rejection! The 414's are well-regarded microphones that should reveal a high level of detail. 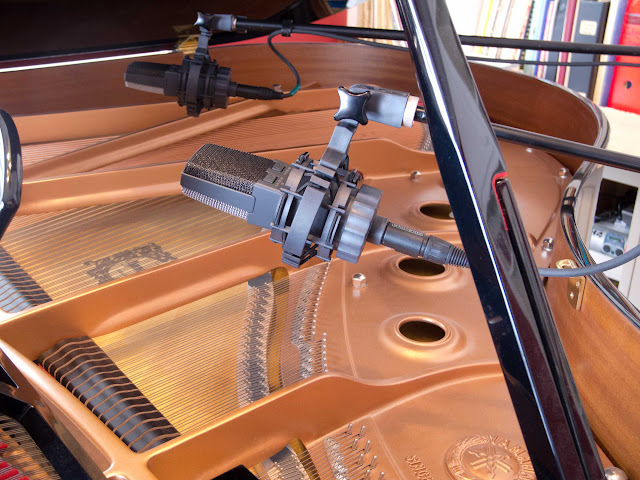 But keep in mind that our experiment is about the cable used, not about what kind of mic is good for recording piano, or what the "best" mic position is. This was our experimental cable; the “control” for our experiment were standard, 10’ XLR cable MK410 cables also made by Whirlwind. These conventional cables were used cable from our stock at City Tech, and probably 2-3 years old. They’ve been used by students, but never been on tour or anything. The photo above showing the open connections are two of the cables used in our test. The mics were connected to a Sound Devices USBPre interface, connected to a Mac Laptop running Digital Performer 6.03. 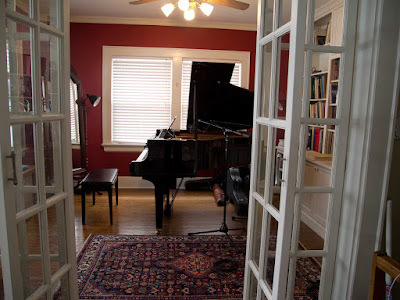 David, a classically trained musician, selected a stock, public domain Disklavier performance of Chopin’s Revolutionary Etude Op. 10 No.12. I edited the recorded clips into one file using Adobe Audition V3.01. The only processing I did to any of the files was to paste them all into one file and normalize them; any gain adjustments were made to all the files equally. I documented the experiments and even the editing on video to prove (to myself as much as anyone else) that I really got the right file clips in the right place (I'll post those videos along with the results, so as not to bias anyone when they take the survey). The order of the “X” clips was determined by coin flip, and I documented that on video as well. I did everything I could think of so as not to influence you; for example, I recorded the voice overs for the file beforeI knew which clip would go into which slot. Please Listen and Take the Survey! You can download the 216MB .wav file here (alternate download site here). It’s a high quality 48kHz, 24-bit file, so lower end media players may not be able to play it. I normalized the file, but did NOT compress it at all, so don't start out with the volume too loud! Once you've got the file downloaded, please answer the questions in this brief survey [SORRY, SURVEY NOW CLOSED] while listening to the file. The whole process should take you less than 15 minutes, and we want as many people as possible to take the survey! You do NOT need to be a "golden ear" audio expert to take the survey! I want the opinion of anyone who is willing to take some time and listen carefully. The survey will be available until 6pm NYC time on Thursday, March 10, 2011; I will be announcing some preliminary results in my USITT session at 2:45pm on Friday, March 11, and then at some point thereafter will post an analysis and followup here on the blog. Your storage quota includes plenty of bandwidth for ordinary use. If there's excessive bandwidth use, we may limit your access for a period of time. I posted an alternate link to Dropbox, but if you can't get through, please wait a day and try again. One thing that came up on one of the forums made me realize that I wasn't clear enough about the test procudure on which my survey is based: ABX testing. I modeled the 10 clip "X" selection after this commonly used method of evaluating different kinds of audio; Wikipedia has a good write up on ABX here. I also used 10 clips because of QSC's recommendations, as stated in that article. I once used one of QSC's ABX test boxes at an AES conference, and won a t shirt for hearing the difference between two kinds of cassette tape (boy, that dates me)!